Coast to Costa organizes personalized, immersive trips to Mexico, Peru, Spain and Cuba. Each trip delivers unique, highly localized travel experiences with an emphasis on the culture of the region. Coast to Costa trips can range from a weekend to a couple of weeks. Founder, Andrew Tyree’s, four years spent living in Spain have afforded him fluency in Spanish which has helped him gain intimate knowledge of the countries visited. With his unique blend of passion, intuition and insider knowledge, Andrew happily alleviates the stress-factors that often accompany foreign travel: speaking the language, knowing the restaurant owners, arranging the transportation, and making all of the reservations. Each traveler can choose his or her level of involvement in the design of trip itineraries. Vacations can be designed specifically for you and your interests. Not bad. Right?! The best approach to traveling in a foreign land is to utterly immerse oneself in the local culture. Our mission? To make this happen on every level for our guests. We leverage our expertise and connections to provide tremendously unique traveling experiences that align with the daily lives of locals. The entire group always stays in the same big, gorgeous, house, which may or may not have a pool overlooking a rainforest. 18 strangers, picked to live in a villa, an MTV-approved amount of alcohol at your disposal, and zero cameras (except your own). The groups are always capped at 18-20 people and the house is always glorious, with plenty of space for either relaxing or partying: whatever you want to make of it. Just like the locals. Round-trip airfare included!!! What? 17 different Kayak and Expedia tabs don’t need to be opened at once while you sweat and race against the airline clock? Nope. A room in a private home in offbeat and hip neighborhood for the duration of the trip. Optional nightly dinner and drinks at some of the city’s tastiest restaurants. A personal translator with insider knowledge and a penchant for making friends with anybody. Yeah. Even that guy. Transportation to and from the airport and for all group adventures. Walking tours of neighborhoods and museums, visits to architectural wonders, restaurants, and nightlife. While living in Spain for four years, I developed fluency for the language and fell in love with the culture. My time there has given me the ability to create a local's experience, highlighting some of the best-kept secrets that cannot be found in a guidebook. After moving back to San Francisco, I continued to work in the Spanish food and wine industry. In this role I was able to build relationships with the best restaurants, wineries, and Mezcal producers in Northern Spain and Mexico. I have developed a totally unique, “insider's” trips that is easily accessible for the common traveler. With plenty of opportunity to explore the areas on your own, I am here to offer as much or as little guidance as you want, with at least one guaranteed outing or adventure planned for each day. After years of traveling and securing the best on the ground teams, we have grown our destinations to include Cuba and Peru. Natalie grew up in Los Angeles, where she lived most of her life before her love of fashion took her to pursue a degree across the pond in foggy London. It was then that her interest in travel sparked. After hopping around Europe, she moved back to Los Angeles, which brought her to meet her husband and Coast to Costa Founder, Andrew! After hearing about his ideas for Coast to Costa they realized with their strengths combined they'd rule the travel world. You will most likely find Natalie eating her way through Los Angeles. She’s the happiest when she feels the sun shining on her face and hears good music in the air. She obsesses over music and can't stop creating new playlists on Spotify. the Coast to Costa trip host. 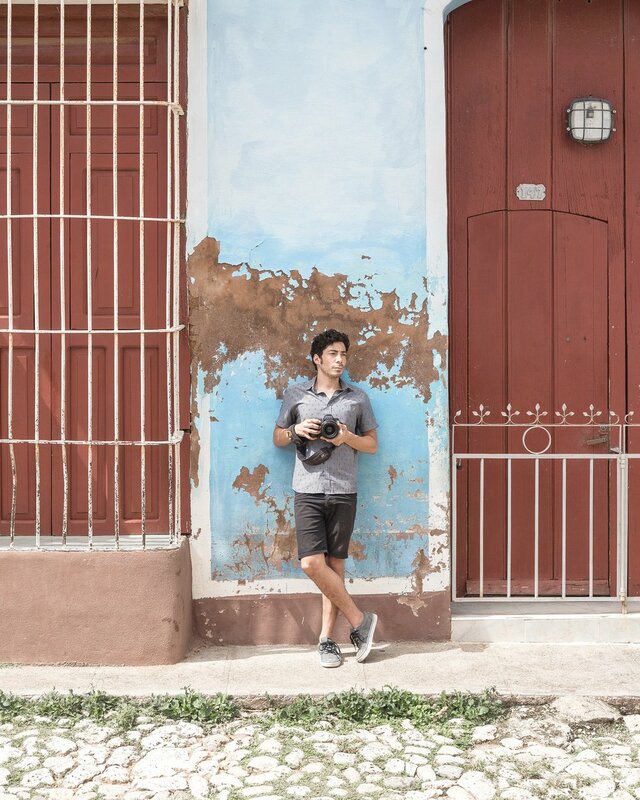 Originally from Miami, James is a Colombian-American photographer, filmmaker, and travel guide now based out of Los Angeles. His photographs have appeared in The New York Times, The Guardian, Malibu Magazine, California Public Radio, and he has also worked with brands like Apple, Airbnb, and Japan Airlines. In addition to working with Coast to Costa, James has led photography workshops for teenagers with National Geographic in Cuba, Australia, Iceland, Greece, the Galapagos Islands, Spain, Japan, and other places. When not traveling, he can be found riding his bike around Silverlake and hunting down the perfect taco. James is always happy to discuss Latin American history, teach you about your camera, and help you properly pronounce guanabana. Tyler was born and raised in San Diego, and caught the travel bug at an early age on "traveling girls" trips across the Southwest with her late mother. As soon as she graduated high school, couldn't wait to see the world and worked in Paris as an au pair. Ever since, she's lived all along coastal California, including LA, Santa Barbara, and Encinitas. After a few years in the San Francisco restaurant industry, she fell in love with all things food. After working in digital marketing and publishing for most of her post-college life, she has pivoted into writing full-time. In her spare time she is hiking, cooking, hunting new (old) funk music, often stealing her friends' dogs, traveling to new places, and researching where to go next in between. She has a degree in Environmental Policy and has dedicated herself to volunteering in local sustainability and environmental policy efforts to fight climate change, especially when it comes to protecting one of her most cherished communities and home away from home, New Orleans.